Calphalon 11″ Square Grill Just $23.99! Down From $80! You are here: Home / Instagram / Calphalon 11″ Square Grill Just $29.99! Down From $80! Calphalon 11″ Square Grill Just $29.99! Down From $80! If you love grilled foods this is perfect for you! Check out this Calphalon 11″ Square Grill is on sale for just $29.99 down from $80 when you use promo code WKND at checkout! It’s on sale right now for $39.99 but, when you use code: WKND at checkout you get an additional $10 off making it just $29.99! It’s FREE store pick-up or FREE shipping for orders over $99. From breakfast to dinner, give your meals a professional finish. 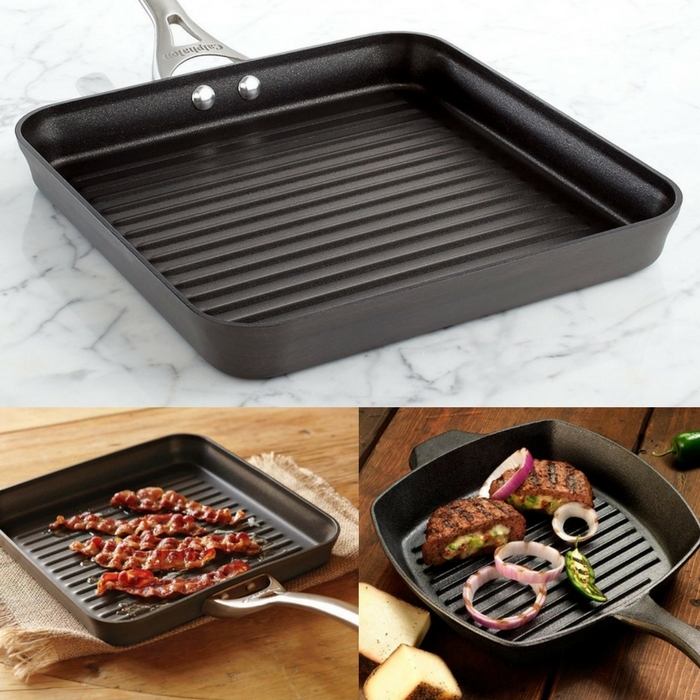 A hard-anodized exterior and three-layer nonstick interior are made for perfect performance, while a dishwasher-safe design is a winner for effortless cleanup.